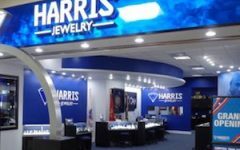 A British newspaper reports that the Gemological Institute of America will pay at least $15 million to settle its lawsuit with a diamond dealer. The same report also says that a federal investigation was launched based on material that was given to investigators by a GIA executive. “Diamond dealer Max Pincione, is expected to be paid at least $15 million to abandon his legal claims against the GIA,” The Times of London reported Wednesday. The story adds that the scandal is “likely to broaden in coming weeks” as investigators prepare indictments against GIA clients and former GIA staff members who were alleged to have exchanged bribes in the case. 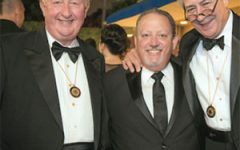 Ralph Destino, GIA chairman, told The Times that he was “shocked and outraged” by the discovery of corruption within the GIA following an internal investigation. “To my knowledge there has never before been any stain of any kind on the GIA’s reputation,” he reportedly added. The GIA internal investigation led to the resignation of Thomas C. Yonelunas, CEO of GIA Laboratory, even though he was not implicated in any violations of GIA’s Professional Ethics and Conduct Compliance Statement and the firing of four employees of GIA’s New York lab. The employees were not identified.